Who do you trust more: The Process or Danny Ainge? While the Celtics hold a decisive lead on the 76ers in their second-round series, their battle for long–term supremacy is a lot closer. While the Celtics hold a decisive lead on the 76ers in their second-round series, their battle for long–term supremacy is a lot closer. Both Boston and Philadelphia have spent years slowly building for the future and accumulating players and picks to become their foundation. The Sixers went through the equally famous and infamous Process that cost them years of relevancy but netted Joel Embiid, Ben Simmons and Markelle Fultz. The Celtics patiently used the Paul Pierce/Kevin Garnett trade to acquire young players like Jayson Tatum, Jaylen Brown and Marcus Smart to add to their stable of talent. That doesn't even include Kyrie Irving and Gordon Hayward, who remain sidelined with injuries but should return next season to give the Celtics an even stronger core. So which team has the brighter future? Do you trust The Process or Danny Ainge? The Crossover paneled its writer to ask them which franchise they believe has the better long–term outlook. Ben Golliver: Celtics. Among the franchises jockeying to become the first Superteam of the post–Warriors era, the Celtics possess the best combination of young talent with upside, proven organizational competence, quality coaching, and maneuverability under the salary cap. Although Kyrie Irving, Al Horford and Gordon Hayward are not top–10 players, they represent one of the better veteran trios in the league. Together, they should keep Boston in the mix for 50-win seasons and conference finals trips in the near-term. Zoom out and Boston's outlook only gets rosier: Jayson Tatum and Jaylen Brown have star potential, Terry Rozier could be one of this summer's top trade chips after a monster 2018 playoffs, and Danny Ainge is still sitting on a cache of extra first-round picks over the next two years. What's more, coach Brad Stevens has again cobbled together quality lineups and an elite defense despite a host of new faces this season, a skill that should assure a smooth transfer of power as Horford ages. In a vacuum, Ben Simmons and Joel Embiid are better individual talents with higher ceilings than any player on Boston's roster. However, the Celtics are loaded with extra future picks, they don't have a single bad contract on their books, they have two core groups that have meshed well to date, and their top prospects don't have Embiid's injury history of Simmons's lack of a jumper. It wouldn't be that surprising if Boston rattled off six or seven more 50–win seasons in a row, given that Stevens oversaw a 55–win campaign despite injuries to Irving and Hayward. A team with that long of a runway—especially one with owners who are willing to spend, a patient and skilled president like Ainge, and a coach in Stevens who is regarded as one of the league's best—represents a very safe bet. Pray for the rest of the NBA if Boston's long-awaited A-list superstar addition finally arrives in the next year or two. Rohan Nadkarni: 76ers. 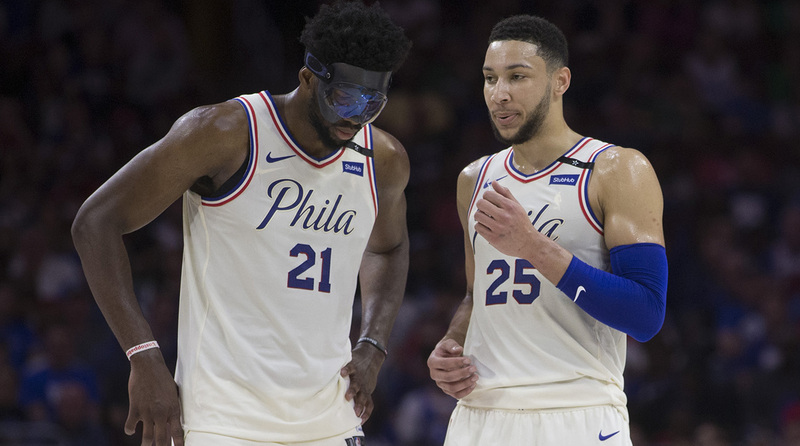 Joel Embiid and Ben Simmons are still two true cornerstones, and while I love Jayson Tatum and Jaylen Brown, I am not sure if their ceiling is quite as high (though both are up there!) This offseason could really be what decides it for Philly. If the Sixers cash in on their space and assets, they can really put together a juggernaut. Boston is going to be great. But we have to consider the possibility of Kyrie leaving, right? And having not seen Gordon Hayward for a full year, it's just too easy to forget how good he is, but also fair to wonder how he will fit with Tatum and Brown. I wish this question wasn't so hard and I'm pretty convinced my answer will curse the franchise I pick. I'm sorry, Philly. But the combination of Embiid, Simmons and the potential to add two superstars this summer is very hard to pass up. Andrew Sharp: Celtics. The Sixers have a great case. While both Ben Simmons and Joel Embiid have struggled thus far in the second round—and it still doesn’t totally make sense—both Simmons and Embiid still have the potential to be top–five players in the NBA within the next five years. What’s more, there’s a chance to add one more superstar to the mix this summer—LeBron? Kawhi? PG?—which would accelerate all the progress and likely turn the Sixers into immediate title contenders. So, given the long–term upside and the immediate potential for a massive deal, it feels wrong to pick against the 76ers. And it might be! Of course, at the same time, betting on a blockbuster trade, the health of Embiid, and the jumper of Ben Simmons, requires a lot of faith and/or trust in The Process. Boston’s case is pretty simple. 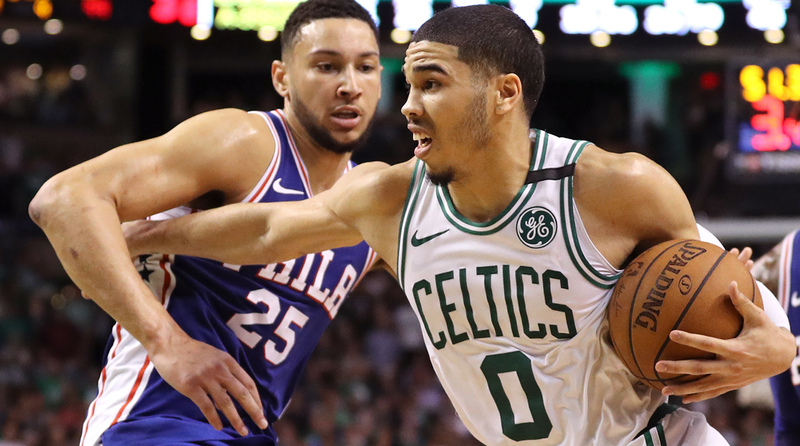 Jayson Tatum has been the most impressive player on either team in this second–round series. He’s incredible. Jaylen Brown was nearly that impressive in the Bucks series. And next year Tatum and Brown will be the fourth and fifth options on a team with Kyrie Irving, Al Horford and Gordon Hayward, with Brad Stevens staggering everyone’s playing time and keeping the Celtics terrifying for a full 48 minutes. There is also an obscene amount of switchable talent on defense, and this year’s success is probably just the beginning on that end. Marcus Smart is going to be back next year (he’ll likely get paid because the Celtics need his salary for trades), and while Smart doesn’t necessarily guarantee any measure of success, his return means this team will still be fun as hell to root for (and easy to hate). Brad Stevens is the best basketball coach on the planet. Danny Ainge and the front office have been excellent over the past four years. And yes, there’s always the possibility of an Anthony Davis trade. You never know what can happen (see: Hayward), but it sure looks like this team is going to be winning 55-60 games for at least the next five years. In the end, the Celtics have the more secure future and they still have Brow possibilities. I will be boring and choose them. But the Sixers have more terrifying upside and more glaring weaknesses, and that formula has its own charm. Even if Boston’s future is technically brighter, the Sixers will probably be the wilder ride. DeAntae Prince: 76ers. The Celtics are an easy answer in the interim, with Jayson Tatum, Jaylen Brown and Scary Terry developing at an accelerated pace and Kyrie Irving and Gordon Hayward waiting in the wings. Of course, there’s also big Al Horford, who remains a model of consistency despite getting up there in years. But if you’re playing the long game, the Sixers are your team. Ben Simmons and Joel Embiid have the potential to become the biggest—literally and figuratively—point guard and center duo in the league. Both are in the infancy stages of their NBA careers and already outperforming expectations by a mile. While they’re obviously missing two key pieces, we all believed Boston would be here. Philly, though? The Sixers were locked in a perpetual rebuild, following the Sam Hinkie philosophy long after jettisoning the architect of tanking. Las Vegas’s 42.5 win projection looked generous, Embiid appeared injury prone and no one had Simmons, a redshirt rookie, pegged as LeBron Lite. But the emergence of two otherworldly talents and a shrewd offseason changed everything. Philadelphia pulled off 50–plus victories and made the playoffs, Embiid fought to get back on the court and returned looking like a 7–foot welder and Simmons dominated an entire playoff series. All of this happened with Markelle Fultz in crisis, by the the way. The Celtics will best the Sixers this time around, yet I can’t shake the feeling that Philly will take its lumps, keep coming back for more and win out in the long run. Jeremy Woo: Celtics. You hear the word "assets" thrown around a lot when it comes to the Celtics, but it’s past the point of being the party line. In terms of sheer wealth of talent, plus the other draft picks they still have coming, Boston is in pretty damn good shape. Seeing Jayson Tatum, Jaylen Brown, Terry Rozier and Marcus Smart all shine in the playoffs is a testament to Boston’s long term team-building, and when you factor in Brad Stevens and the absence of Kyrie Irving and Gordon Hayward, it’s hard to feel too negative. The truth of pro sports is that young teams don’t stay young for long, whether they become too hard to pay in totality, deal with injuries or begin to come apart from the inside. No team is in better position to cash in and make a deal for another star (which could get scary fast), but sitting back and letting things play out is a scenario most teams would envy as well. Boston has so many attractive parts that whether or not they win big with this group over the next couple seasons, you can feel comfortable assuming the next few iterations of the roster will make just as much sense. It’s a great problem to have. Jarrel Harris: Celtics. The Celtics have everything you could want in an up–and–coming team. They have a great head coach in Brad Stevens, a phenomenal front office led by Danny Ainge and a young talented core that doesn't really hurt the bank (yet). And they also have draft picks! What more can you ask for? They are without their two best players, Kyrie Irving and Gordon Hayward, yet still are on the brink of an Eastern Conference finals date with LeBron James and the Cavaliers. What other team could reach the conference finals without their two best players? Jayson Tatum and Jaylen Brown have star potential and Al Horford has been everything needed in a veteran All-Star. Terry Rozier's emergence couldn't have come at a better time and Marcus Smart is a rock on defense. The 76ers have Ben Simmons and Joel Embiid, who are both generational talents, but Embiid's injury history and Simmons's non-existing jumpshot are pretty scary. That said, it all comes down to the front offices. The 76ers will have success, but I have more faith in Ainge than I do Bryan Colangelo, who botched the Markelle Fultz injury situation and mishandled the Jahlil Okafor trade. The Celtics are an Anthony Davis trade away from being downright terrifying over the next 5–10 years.